... or more like "To play, or not to play: that is the question."? In the 400 years since Shakespeare's death, his writing has been performed, interpreted, and celebrated around the world. Now it's time that Kings & Legends will celebrate it and you can be part of this! We prepared exciting three events with great prizes. Time to grab quills and inks! Write poem and be our KaL Shakespeare! Share it on the forum, activate "Thankomat" for your post and gather votes from other players! Show your drama skills in the game! Make screenshot from your battle where you will construct a scene from any Shakespeare play. 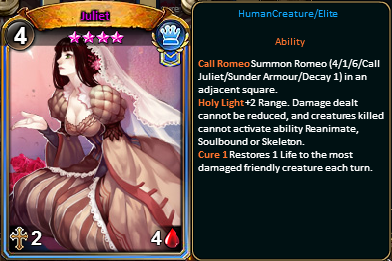 Use cards similar/related to Shakespeare plays, quote the scenes from the books in the battle chat or edit screenshot in Paint with the memorable lines. Share it on the forum, activate "Thankomat" for your post and gather votes from other players! 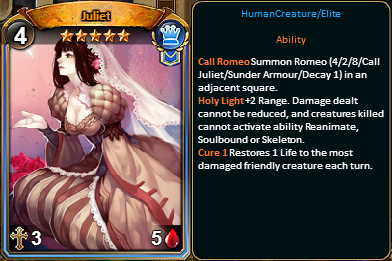 Don't forget to visit our Facebook page in order to get for free Epic Juliet and win additional 100k Silver!